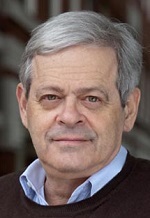 Daniel Okrent, author of several books (most recently, Last Call: The Rise and Fall of Prohibition), spoke with us about American Pastimes: The Very Best of Red Smith, published in May by The Library of America. What do you admire most about Red Smith as a journalist? as a writer? His absolute lack of pretension. Smith wrote cleanly, plainly, and directly, in natural language that never relied on flashy effects or inflated syntax. He had the same affect in his reporting: he asked direct questions, which just happened to produce direct answers. And his eye for detail was as acute as a painter’s. Hemingway paid famous tribute to Red Smith’s writing in “Across the River and Into the Trees,” and the St. Louis Post-Dispatch dubbed Smith “the Shakespeare of the press box.” What is it about Smith’s writing that has spoken to other writers and readers through and across so many decades? More than anything, that it looked so easy. He managed to sound as relaxed and comfortable as an old friend—an old friend whose mastery of anecdote and vividness of expression just happened to be unmatched. I suppose what’s most remarkable is that writing was exceedingly difficult for him, and that what looked so easy was often as not the product of hours of false starts and other discarded efforts. By taking sports as his subject, did Smith limit his possibilities as a writer? As a writer, no; I’ll put the quality of his prose up against anybody’s. But as an enduring cultural presence, perhaps—not because he wrote about sports, but because he never wrote a book. Why do you think the 750-word column was such a congenial form for Smith? I’ll go out on a limb here and say it worked for him because of fear, two kinds. First, fear of the ever-approaching deadline, which is made even more terrifying by the old dictum, “I don’t have enough time to write short.” Getting everything he had to say into the limited space of a column before running into an unmovable deadline concentrated his mind the way that, oh, a date with a firing squad might. The second form of fear was, I believe, a fear of longer forms. Specifically, the book. He said he never wanted to write one, but I have to believe that, at least in part, he was afraid to venture into new territory. Why do you think Smith was such a great obituary writer? Simple: he knew everybody, and he liked most of them. Smith balked at the prospect of writing an autobiography, and yet his writing imparts such a strong sense of his personality—warm, wry, humane. What were your encounters/interactions like? What do you remember about him? I knew him slightly, and briefly, late in his life, when I commissioned him to write an essay for a book I edited, The Ultimate Baseball Book. The eight other writers I commissioned were literary figures—Mordecai Richler, John Leonard, George V. Higgins, Wilfrid Sheed, etc. Red was a joy to work with, and he was absolutely giddy about being the only pure sportswriter in a volume of literary heavyweights. Needless to say, they were all thrilled to be associated with him. One difference: Smith was the only one of the bunch to deliver on time. Smith wrote about boxing, horse racing, and fishing, among other American sports and pastimes, but he’s most closely associated with baseball. How would you describe Smith’s special connection to baseball? What players and managers were most important to him? Both baseball and boxing (his two favorites) had that most treasured of attributes for any writer: a clear, unfolding story line. But remember, as well, that when Smith was rising in the sportswriting world, those were the nation’s two biggest games. He seemed to grow attached to football in his late years, but it never approached baseball, especially, in the richness of its milieu, its susceptibility to detailed examination, and its sheer dailiness, that long, slow, everyday-another-game march toward the off-season. Your most surprising discovery in the course of working on the book? Just how good he was so early in his career. I started reading Smith in the mid-60s, when he had already been the nation’s number one sportswriter for nearly two decades. What I had never realized is that the rhythms of his prose, the sharpness of his eye, the uncanny ability to come up with an unlikely image to capture a moment or a person—all that was already in place when he was not yet thirty. Do you have a favorite column/piece in the collection? Don’t ask me to choose among my hero’s children. I am reading it now and enjoying it, particularly his sly wit.